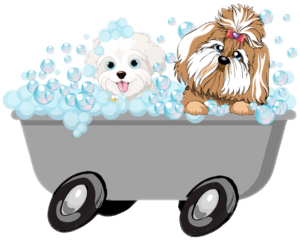 Jen’s Mobile Paw Spa provides mobile dog grooming services at your door in Sloan, Ny and our vast grooming expierience, devotion to dogs, and professionalism is second to none. Not to mention that our vehicle is fully equipped with everything we need including onboard power, a water heater, and water storage (fresh and grey water), so our customers have an enjoyable expierience and their parents are not inconvenienced. Your four legged family member will be in capable, caring hands and they will look and feel awesome. You save the time and frustration of dropping off and picking up your baby from a salon. Your pup is the only dog in the van. No cages means reduced stress for your dog and less worrying knowing your pup is not waiting to be picked up. Also no exposure to other dogs means less potential for the transfer of illnesses and/or parasites. Providing Mobile Dog Grooming to Sloan, Ny and the surrounding areas.